Supported by the New Orleans Bingo! Show. Confetti drenched; swaying in a French pirate jazz parade of white magic and Voodoo masquerade. Welcome to SoCo Carnivale: a non-stop celebration of all life has to offer. SoCo Carnivalefeatures the outrageous self-described ‘choral symphonic rock’ collective The Polyphonic Spree, who are set to sprinkle a little colour, hope and happiness on this year’s Carnivale season. Also joining the parade is the genre defying outfit The New Orleans Bingo! Show direct from New Orleans Mardi Gras. Southern Comfort presents this unique homage to its origin, New Orleans – a fancy dress party inspired by the spirit of New Orleans Carnivale. Dust Devil Music are proud to announce the worldwide premiere release of ‘The Promised Land’, the latest album by legendary Louisiana ‘Swamp Pop, Country, Cajun, Blues and Rock n Roll Supergroup’, Lil’ Band o’ Gold. Canadian twins Tegan and Sara return to Australia in May for a national tour, following the release of their new album ‘Sainthood’ (Warner) last year. ‘Sainthood’ was lavished with acclaim from fans and critics a-like, the first single ‘Hell’ gathering radio spins from alternate and commercial radio around the country. 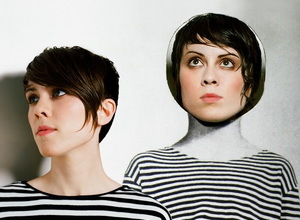 After years of selling out headline tours and their recent experience in joining the summer festival circuit, which saw them playing to thousands at the Falls Festivals, Southbound and Sunset Sounds in 2008, Tegan and Sara tours have become one of the most anticipated live shows among Aussie music lovers. Their on stage chemistry, incredible musical abilities, infectious pop sensibilities and direct connection with their fans has won hearts all over the world. 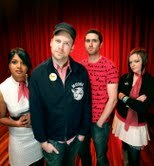 DAYSEND Australian Tour supports announced! 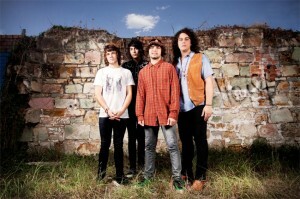 Check out the latest single ‘Simple Minds’ at www.myspace.com/daysendmusic now! DAYSEND AUSTRALIA TOUR – SUPPORTS ANNOUNCED! The Frontier Touring Company have announced that indie rockers Vampire Weekend will be performing a series of headline shows across Australia and New Zealand in April/May in addition to their Groovin’ The Moo performances. 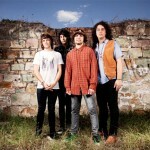 The band initially made their mark on the music scene through their immense online success at a time when the term ‘internet sensation’ was relatively unheard of. 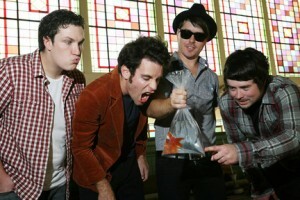 After dominating online audiences, they released their hotly anticipated self-titled debut in 2008, cementing their arrival to indie rock. Their sharp, witty lyrics intermingled with African inspired beats guided them toward the forefront of the genre and the band quickly escalated to global fame.